With everyone’s focus on environmentally friendly ways of living, we were thrilled to find these recycled natural fiber area rugs. Natural wool area rugs are given new life with an entire soak in earth-friendly dyes. 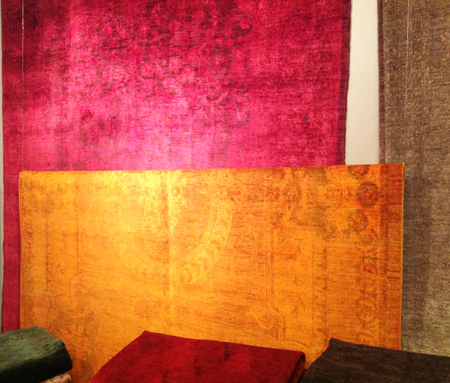 The range of colors used on these rugs is astounding. Dark classic tones to bright moderns give the renewed area rugs a vintage feel. 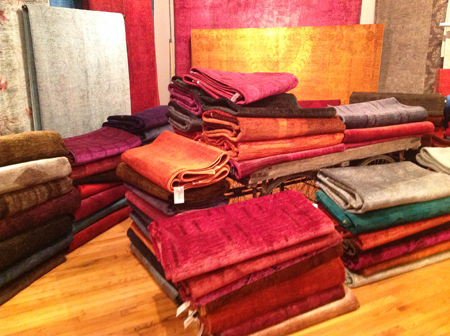 These 9′ x 12′ room sized over-dyed rugs range in price from $8,000 to $15,000. But one of a kind finds like this are art works in and of themselves. Pair these area rugs with vintage decor or modern designer pieces. Either way, you’ll know your design choice leaves less impact on Mother Earth and more design appeal in your home.